I once played a game at the swimming pool. 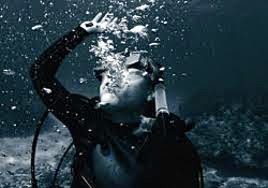 Myself and a group of guys went under water and we watched and waited while someone counted in seconds to see who amongst us could outlast others in holding his breath! I stayed down in the cool water of the pool, i remained calm, 'I have done this before' I thought! and I had even beaten a couple of friends at this game so I stayed 10 secs...15secs...20...30secs... and few more seconds afterwords...now my head was like dry and short of blood under the water, my heart was pounding at leap-speeds! i will stay for one more second i thoughts... and gosh! I jerked up from my knee from under water, I rushed up and jumped out to the surface of the cold water, gasping for breath ...Then I knew I had to come out to really be alive. If you have ever held your breath for 1 minute or a few seconds, then you really can imagine what it means being without breath for 5, 10 or even 60 minutes! Indeed We are immensely indebted to God for breath. Today I appreciate God for Breath! The breath of life is the rare string of life given to us by God.This is what makes living possible!It is the fuel that runs the engine when it's out the engine is out and man is dead! It is worth more than billions of dollars! I am grateful to have enjoyed this right from childhood and to continue to enjoy it. Breath range from the oxygen we breathe in, which mixes with the blood in our body and supplies every organ with life, health and vitality. According to research the brain can survive for up to about six minutes after the heart stops however when the brain loses all its oxygen something terrible happens !- death becomes imminent.. It is the breath of God in us that makes us ALIVE! this is deep and words will fail me in appreciation of God's goodness of giving me the right amount of air- this breath every second for 365 days every year! I am so grateful for breath.